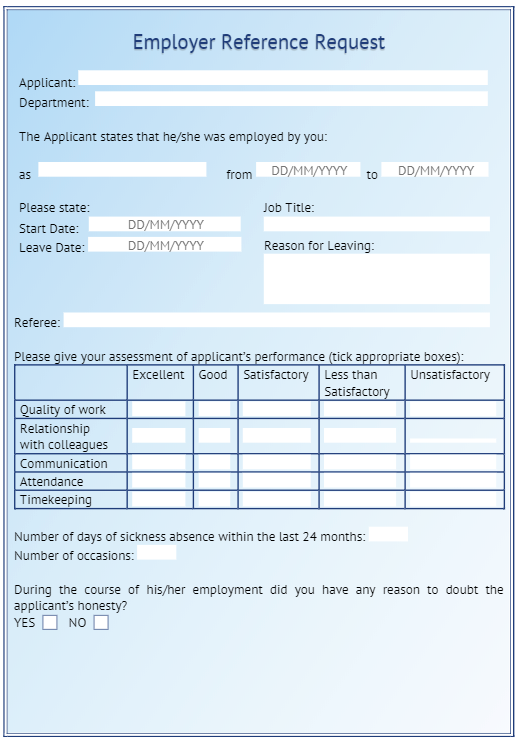 Would you like to turn all of your Word forms into online forms for your candidates and clients to complete, sign and submit online? Our software can help you do just this! 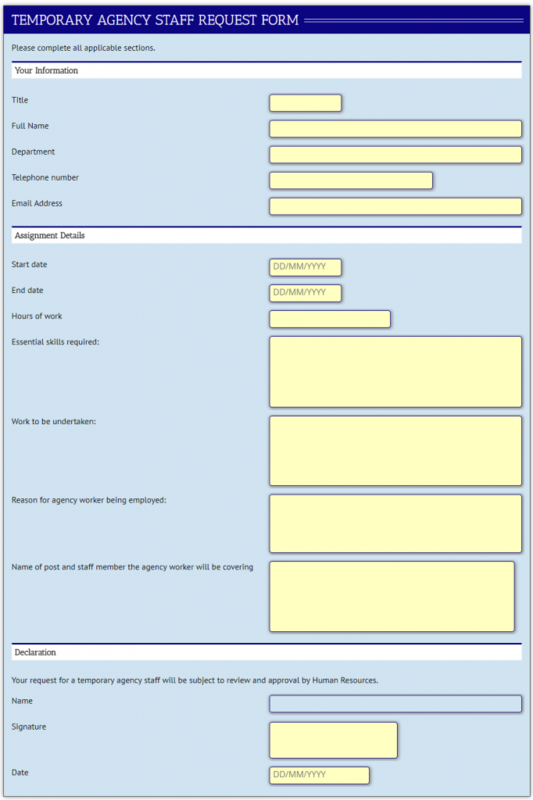 Victoria Forms software allows you to streamline your business and make form-filling much easier for your users. 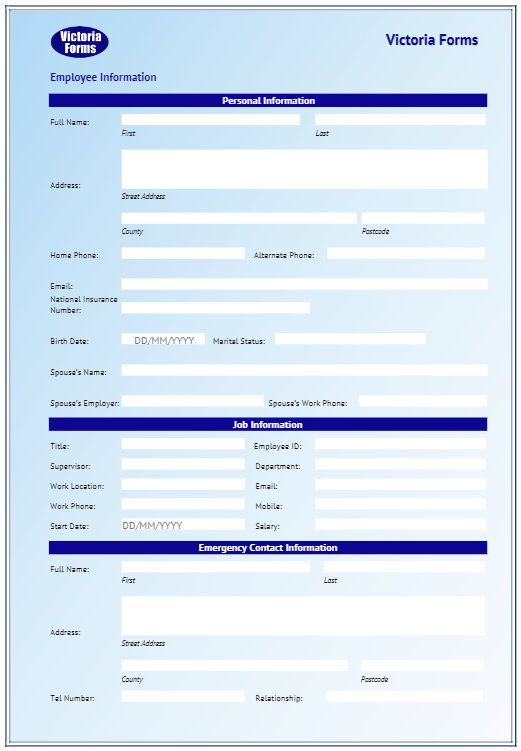 Our forms have a variety of add-on elements to ensure you and your clients receive all the data you need. 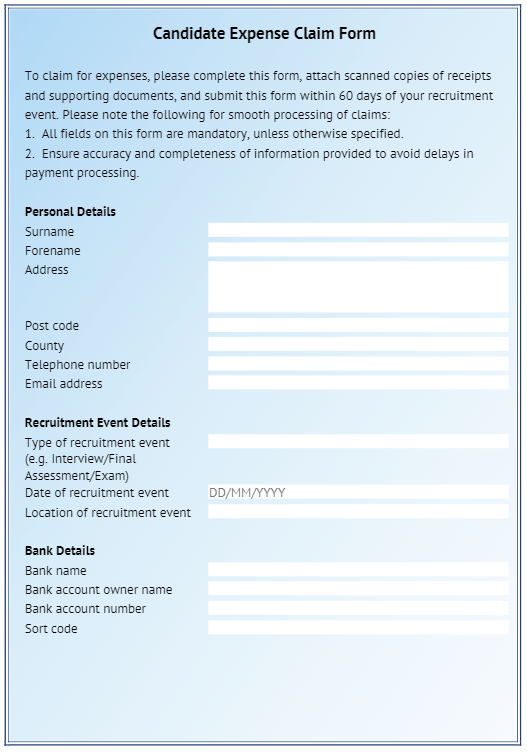 To help you get up and running quickly, we have some example Recruitment Agency form templates below. 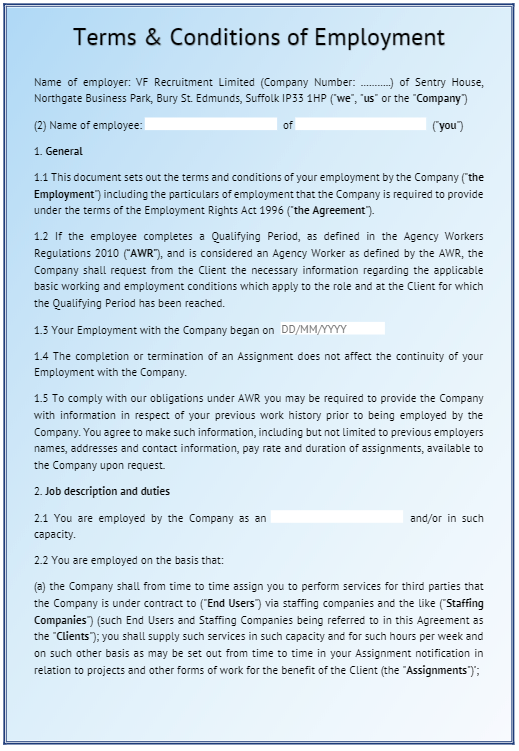 You can adapt these to suit your own requirements; due to the fact the forms are designed in Word, you are able to brand them as you wish. 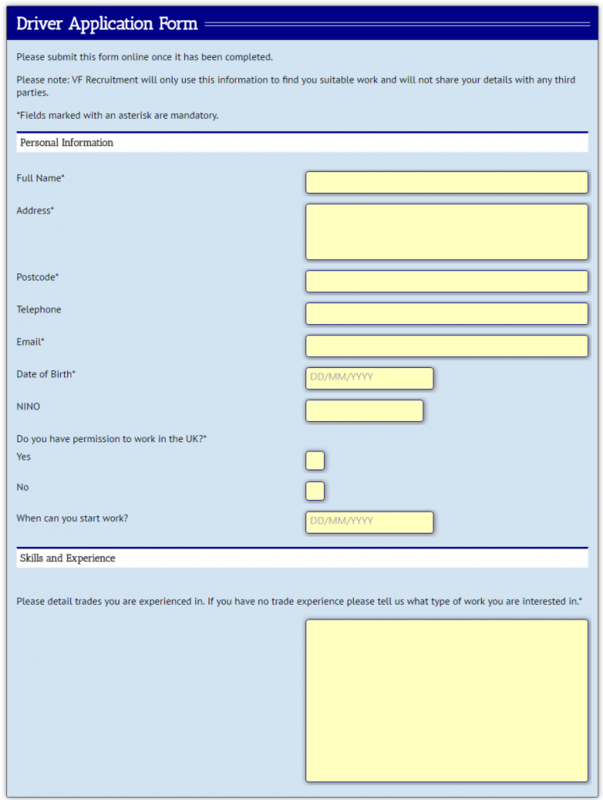 We’re always on hand to help our customers get to grips with the software and make sure you have online forms to be proud of! Get in touch today! 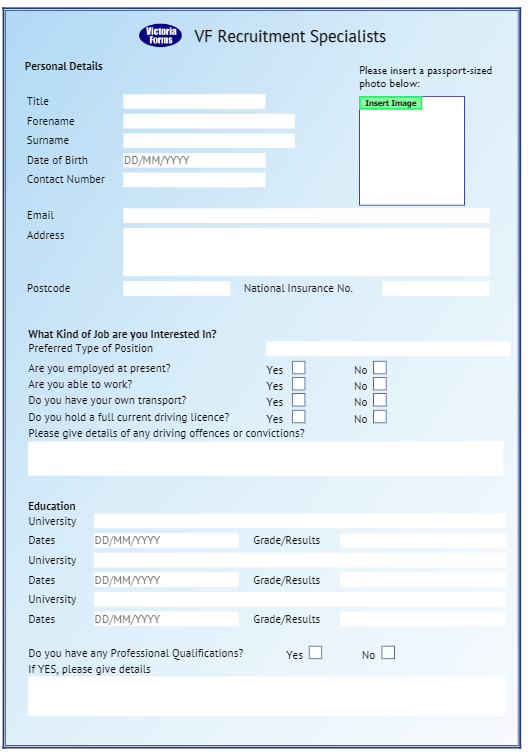 To show how easy it is, the short video below demonstrates how to create a Candidate Registration Form WITHIN Word. 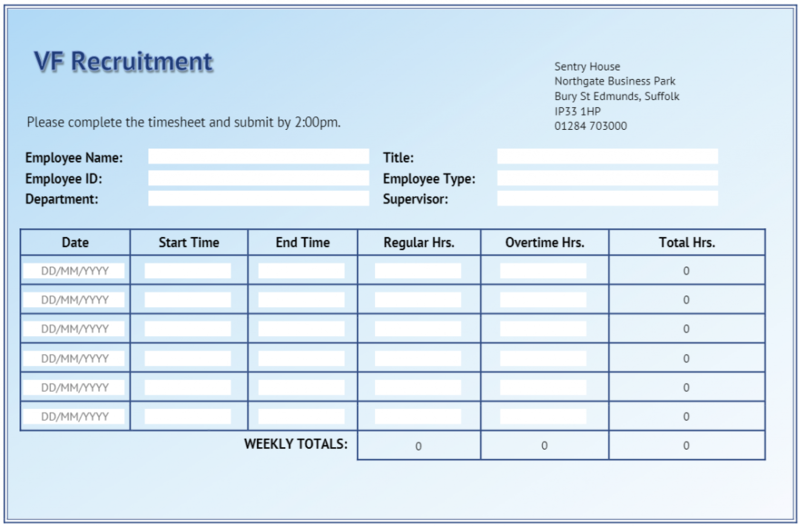 VF Creator is built to make it really easy for you to create your own online recruitment forms and documents. If you’re familiar with Word, you’ll soon pick up how to use VF Creator. As you can see from the video, it’s simple and straight forward! 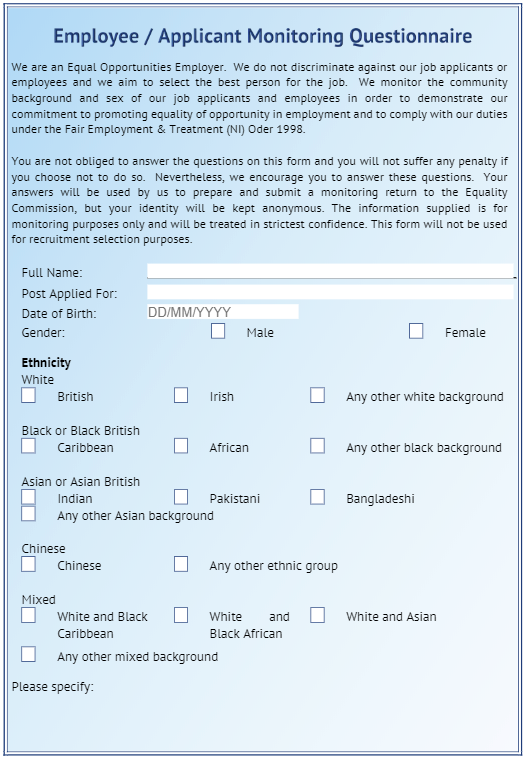 Have a go at filling out our Recruitment Agency form templates! Bett: the World’s Biggest Education Technology Event! Find us on G-Cloud, under the Cloud Software Category.